For the best customer experience in tracking, billing, scheduling and in-service GPS positioning, we use PetCheck Technology. 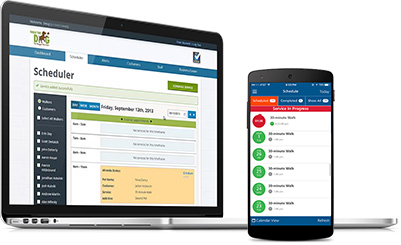 This software allows customers to be in control of their scheduling and information right from a web browser or mobile app. 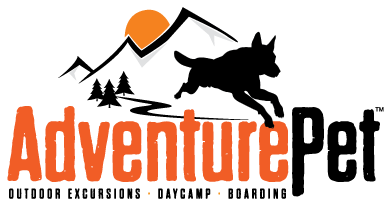 For us at Adventure Pet this software allows us to scan your dogs in and out each time your dog is on an adventure with us. The scans initiate an email to the owners letting them know when their dog has been picked up and returned home. This provides ultimate accountability and full visibility to where your dog is at at all times. No more dealing with checks or cash and this system is fully automated to charge for any runs that have been completed every week. We spent well over two years trying every GPS tracker that was on the market. We considered many things including reliability, durability, customer support and features. 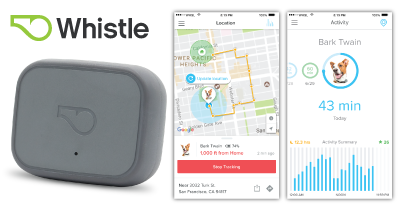 Whistle 3 was by far the best for all of those reasons plus cost effectiveness. There are many hidden costs in data plans, but Whistle 3 was the most straight forward and simplistic approach. The features are amazing and like nothing else out there, and we rely on these trackers on a daily basis. If you have dogs that you would like to keep track of while you are away from them, this is the perfect product.